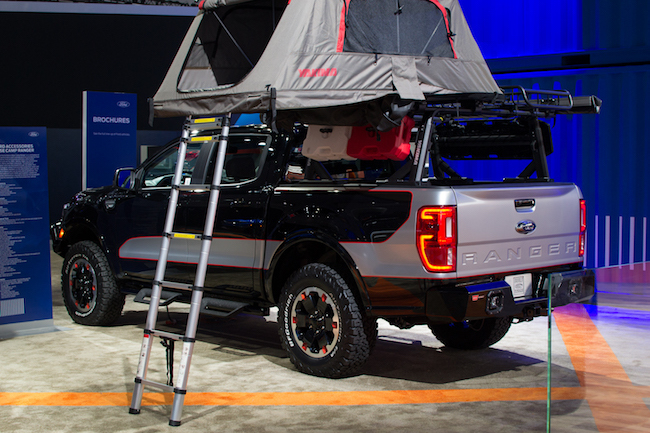 The new Ford Ranger has been done up in tough-looking overlanding guise to create the new Ford Accessories Base Camp Ranger. 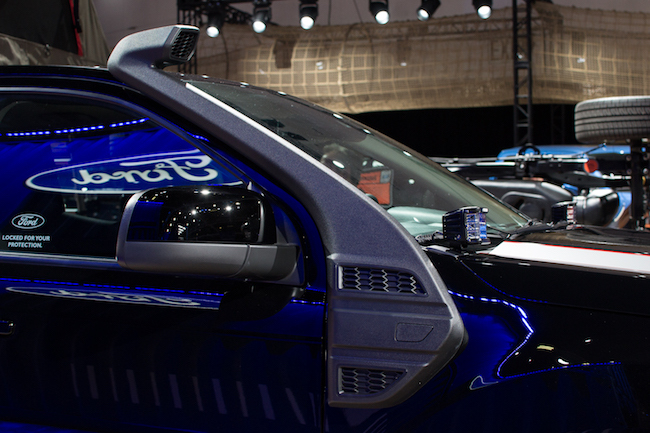 The Base Camp Ranger was created by Ford for the 2018 SEMA Show, but we got an up close look at this interesting truck on the floor of the 2018 Los Angeles Auto Show. This parts truck is a perfect way to show off the various accessories that will offered for the Ford Ranger from launch and best of all, the upgrades here are all very practical. 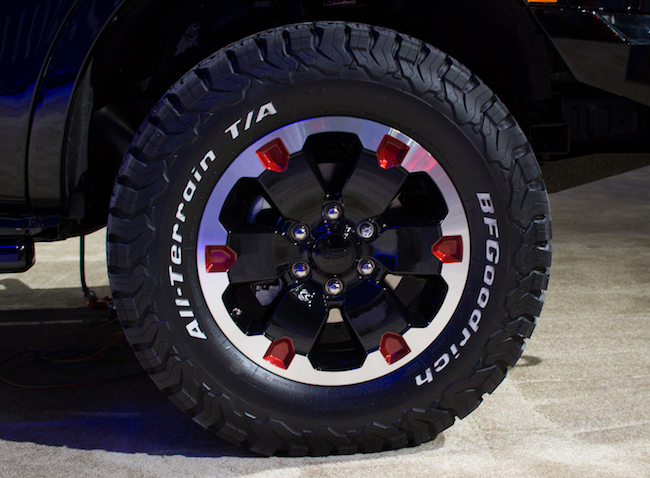 These are exactly the kind of modifications many potential Ranger customers might want to make to their trucks. Kicking things off are thicker skid plates and a beefier differential cover from Ford Performance, a BDS upper control arm kit and a FOX suspension levelling kit with off-road shocks. The exterior is done-up with Warn front and rear bumpers with integrated Rigid Industries LED lights, side steps, a Warn ZEON 10k winch and 18-inch Ford wheels with a Ford Accessories wheel lock kit and BF Goodrich K02 tires. 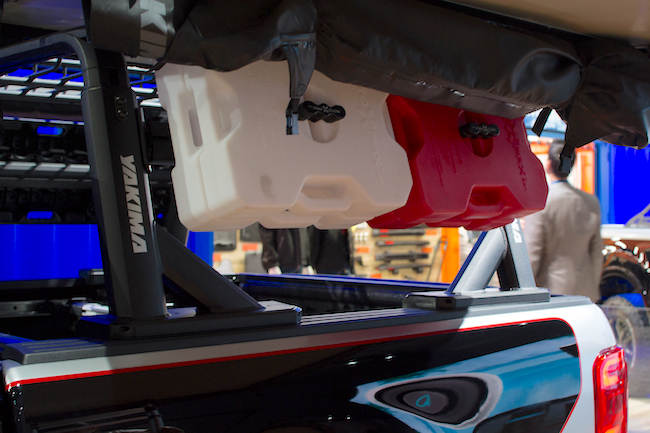 The bed rack, roof basket and tent are all by Ford Accessories and Yakima, while the spare fuel and water tanks, along with the mounting brackets for them, are from Rotopax. 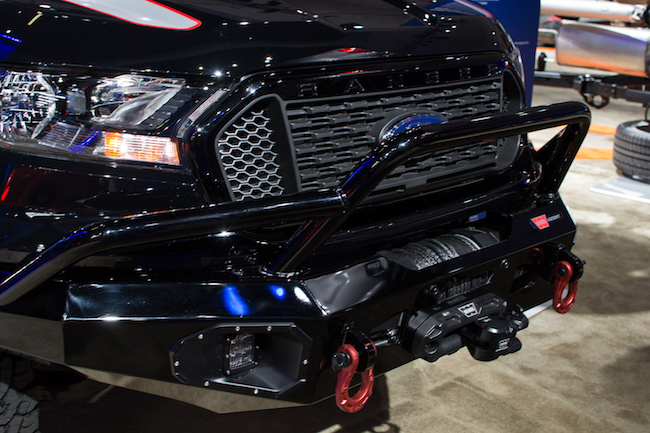 This truck, which is based on a Ranger FX4 with the 2.3-liter EcoBoost four-cylinder engine and Ford’s 10-speed automatic transmission, also has a Ford Performance cat-back exhaust and an air-intake snorkel. 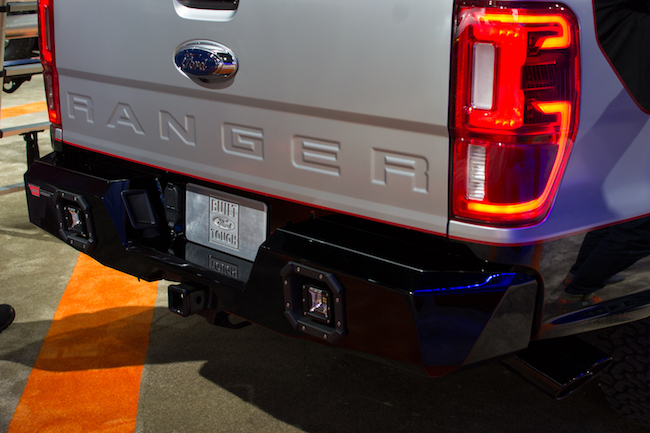 The interior is mostly stock, but Ford has also thrown in a Warn recovery kit with a D shackle rated at 18,000 lbs and recovery strap rated at 14,400 lbs. We like the accessories study as it gives potential Ranger customers some ideas as to how they can do up this exciting new mid-size offering. 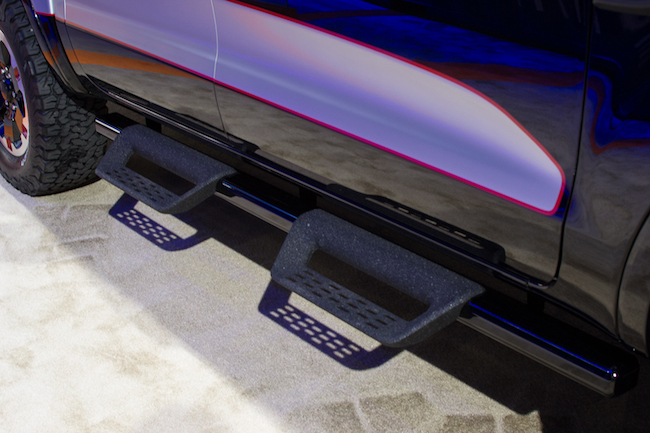 Ford may be skipping out on offering us a Ranger Raptor model variant, but hey, at least Ford Performance and the aftermarket have you covered with things like skid plates, off-road shocks and knobby tires. The 2019 Ford Ranger will go on sale early next year with prices starting from $25,395 including destination. The off-road focused FX4 trim will add $1,295 to the price of the truck, but is only available on 4×4 models.